Dubai has shown rapid growth which has changed the strata of city in a short span of time. While life in Dubai has gotten quite busy, people still manage to take time out to spend with their loved ones. This then leads to a lively view at night, with sparkling lights and bustling crowds. The beautiful sea with the backdrop of some amazing construction provides for a mesmerizing sight to say the least. If you are looking for some romantic places to visit, Dubai has a lot to offer. Moreover, the hospitality services in the city are internationally renowned, ensuring that you have the best possible experience. Whether it is a date with your partner or a trip to spend some quality time, the places listed below will be worth your time. After a bash in the Dunes you can spend dreamy moments with each other with a campfire, Arabian tents, desert music and a night sky full of stars to make it unforgettable. Enjoy as the sun sets with your loved one on the wet sands with a cool breeze blowing. The transition from dusk to night is indeed romantic. Away from the hustle and bustle of the city you can enjoy a barbecue with your partner at Jumeirah Beach. Enjoy a romantic rendezvous at one of the outdoor cafes, offering a variety of cuisines. You can also enjoy moments of intimacy at the Al Diyafah Street. Enjoy a walk to remember with your loved ones and stare at dhows roaming on creek waters in your background. As love takes you high on top of the world, enjoy a romantic dine-out at the uptown restaurant on the 24th floor of the Jumeirah Beach Hotel. After a long Hectic day, get caressed by the gentle and cool desert breeze with your loved ones by taking a drive on the Sheikh Zayed Road. Though a bit heavy on the pocket but worth it. Enjoy a candle lit dinner with your loved one with a stunning view of marine life. Indulge together in some daydreaming and shop from gold to exotic herbs and spices in the Old Souqs of Dubai. 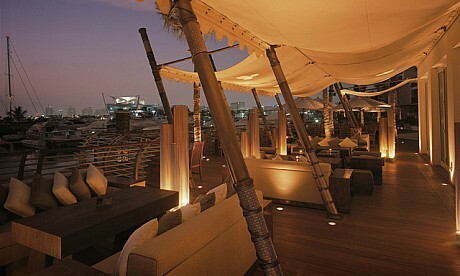 As the sun goes down, float with each other in a dhow on the creek waters and experience the city lights left behind. Relish this moment of a lifetime with each other in Dubai Creek.